Metro stations in Kazan is a rapid-transit system that serves this Republic of Tatarstan, Russia. Russia starts to build metro stations to accommodate transportation in the areas, starting from metro stations in Moscow. The seventh and the newest metro system in Russia is metro stations in Kazan. Kazan the millennial city has many famous places from the Tartans era to modern Russia that you can visit. One of the ways to travel across the city is by taking their metro. Moreover, They portray a triangular function in Tatarstan, Russia, and English. The metro runs from 6:00 to 23:00 by tokens or smart cards. 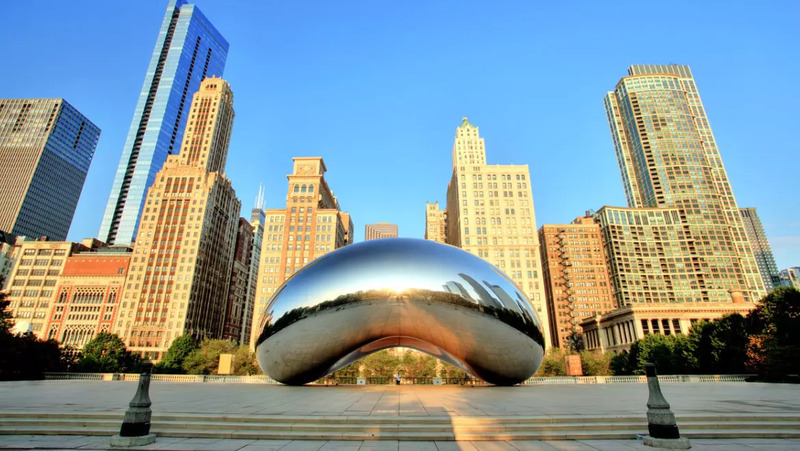 In addition, security is a major issue it also suits the modern need of a safe public place. Therefore, the metro stations in Kazan have many CCTV cameras for safety measures. Moreover, each station has its own police group with various strict rules. Among the first station in Kazan to built, they start from the north side of Kazan in 2005. It is near the famous Kazan Kremlin. The station describes a standard sub-surface single vault technology into the mythical fortress of the ancient Kazan Khanate. The stone blocks walls and beige Janina marble in geometry shape that create a white stone illusion. Moreover, the walls feature a set of “towers” and their archways shows mosaic artworks of everyday life in the Bulgarian and Kazan. The highlight of the metro station is its ceiling. It has white stucco with medieval theme runs to tunnels of the Kremlin. It shows fresco-mosaics with Tatar ornaments. Moreover, if center the giant dragon Zilant – the symbol of Kazan. In addition, it also displays a large mosaic bas-relief which reads On the river lies a stone city – in Kazan many high gates both in Tatar and Russian. This station lies in the very center of the city and gets their name from the famous Tatar poet Ğabdula Tuqay. The station is a standard sub-surface pillar with a bi-span arrangement. The 12 square concrete pillars run along the central axis of the platform. Therefore, the overall look reminiscent of the romantic Tatar literature period during the poet’s years. The walls decorate white marbles with mosaics from Italian smalt. It is a dedication for Tukay and the history and life of the Tatars and Kazan. The station has two vestibules with identical pillars and marble walls featuring metallic ornaments. Other stations in Kazan with typical pillar bi-span sub-surface design. In addition, it has two parallel rows of 14 concrete pillars. It inspires from on Kazan’s history as part of Tsardom of Russia, with three-tone color gamma such as white, beige and brown. Moreover, it shows more Baroque style in the 17th century. You can see them on the walls where the three-tone marble among two sets of pilasters. Every second pillar has a lamp and a wooden bench. The station is a gateway to Peterburgskaya Street and Esperanto street among the busiest street in Kazan. This metro station is the only station in Kazan that is not underground. It accommodates a valley from Ametyevo and Daurskoye-Tankodrom. Architects A.Mustafin and N.Romashkin-Timonov develop a modern high-tech design with a futuristic feature. It took used railway bridge and modify into a two-tier causeway enclosed with blue glass frame. The glass is thermally insulated with the top at ground level with both of the valley sides. So, pedestrians to cross the valley without entering the Metro. The station has an amazing feature, with suspended ceiling and curved shape. Moreover, the large opaque white fragments suspended from the blue vault. In addition, the main lighting elements are behind white opaque glass and are turned on during the night time giving the station separate aesthetics. Architects A.Mustafin, R.Khisamov and T.Mukhametzyonov create this station with a high-tech industrial design. It fit well with the surrounding classical Russian panel buildings. Gorki station features a monolithic vault with central axis run a set of lighting elements with steam effect. The walls have dark green marble background with additional lighting which illuminates the white vault. Mansurovsky and Starobabansky granite plates cover the floor with geometrical pattern. The stations serve as transportation media in the busy street of Tankovaya and Marina streets and the motherland Rodina of Zorge street. The gateway to various outdoor things that you can do in Kazan. Another metro stations in Kazan located in the Gorki area. Its architectural incorporates the Victory in the Great Patriotic Wartime. Therefore, it has a flamboyant parade look that reminds of Stalinist Architecture. The pillar-tri-span design forms two rows of triumphal arches along of the axis columns. Each archway depicts the city heroes in the Soviet era. The name of the city is carved into the glass below the pillar. The walls have a red marble background and the floor laid in red white and black granite in a special pattern. The station has enough light from a set of lamps arranged to symbolize fireworks. The station has two underground vestibules that face Zorge street and the Victory Avenue. You can reach Gorky Park from here and enjoy a relax nightlife in Kazan. Kazan decides to add several stations for the northern side of the city. Therefore, these stations join the long line of the train ride in Kazan. the Aviastroitelnaya, Severny Vokzal, and Yashlek stations are opened in 2013. 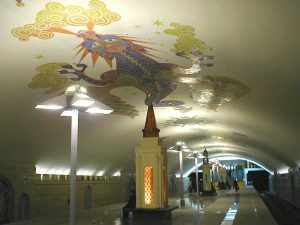 That is the top best metro stations in Kazan that definitely worth visiting when you are traveling in Kazan. It is an affordable and easy way to commute around the vast city that lies between the river and joins with a famous bridge of Kazan. In one part it offers classical Soviet landmarks in the other is the Tatarstan influence culture heritages. Therefore, it is surely something worth to see.